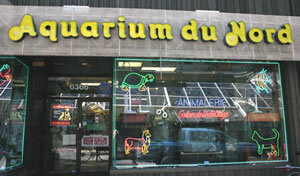 Aquarium du Nord Inc., the oldest institution devoted to animals in Montreal, is a second generation company which has grown with values of honesty and respect dedicated to the promotion of excellence. Since its foundation, Aquarium du Nord Inc. has been committed to offer the best services and products for a privileged relationship with your animal, bringing satisfaction and joy to your whole family for many years. The company first specialized in ornamental fish-keeping. It has developed an unrivalled proficiency in all animal species, with dogs, cats, fish, rodents or reptiles, nutritional products, maintenance and health. 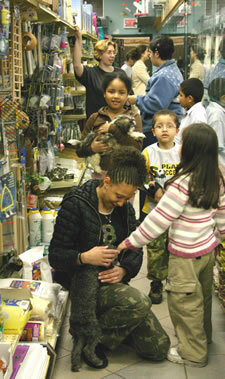 A pet in your home is an integral part of your family. You are making an important decision and it should be carefully thought out. We give great importance to your needs and our counsellors will guide you adequately in your choices. More than anybody, at the AQDN, we are conscious that quality information helps in the selection of an animal, a product or a treatment to improve the health and comfort of your little friend. The health and comfort of your animal are very important to us. To offer a superior service, we keep a complete catalogue of the best products available on the market. And if we don’t have it in stock, our order department will be happy to find it for you! The long-term relationship of confidence established with our suppliers assures that you will be offered all the new products as well as a complete catalogue of parts for all the products we sell. 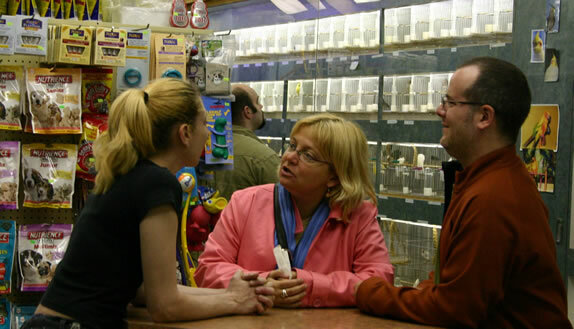 Our management team, the heads of departments and the animal technicians, all members of our personnel enjoy considerable experience, assuring that you will get pertinent and professional answers to all your questions. Our personnel have been trained in public and private institutions, including the Conseil consultatif mixte de l'industrie des animaux de compagnie du Canada (PIJAC Canada) and Emploi Québec.